This is HGTV's Taniya Nayak and her puppy Flynn from Stone Quarry Bulldogs! WE ARE LOCATED IN MINERVA, OHIO! 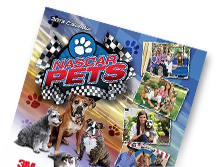 We are the breeders of Nascar's "ILA The Bulldog" WE ARE A NETWORK OF 5 BREEDERS! We breed, and sell English bulldogs, standard sized, and mini sized (ALL are AKC registered, the only difference is the size!)! We are an AKC inspected and compliant facility, and BBB accredited! Don't forget to save us in your favorites! Like us on facebook, and you will get weekly updates, and behind the scenes pictures! Our Mini English Bulldog Puppies are able to go to their' new homes at 8 weeks of age, you are welcome to come pick your puppy up in person, and we can also meet you at the airport if you'd like to fly into Akron/Canton, you could then take your puppy back as "carry on" and he can be placed under your seat.